Saint Olga (Russian and Ukrainian: Ольга, also called Olga Prekrasna (Ольга Прекрасна), or Olga the Beauty, hypothetically Old Norse: Helga; in some Scandinavian sources she was called by other names. Born c. 890 died 11 July 969, Kiev) was a ruler of Kievan Rus' as regent (945–c. 963) for her son, Svyatoslav. 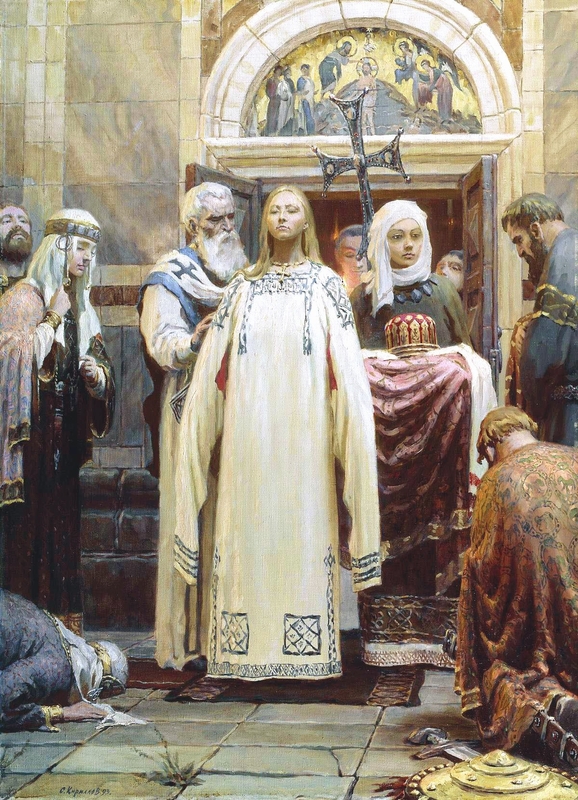 Baptism of Princess Olga. Painting by Sergei Kirillov.